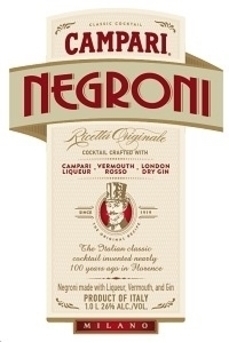 Launched in November 2016, “Ricetta Originale”- literally ‘original recipe’ – refers to this pre-mixed Negroni being faithful to the original proportions of 1/3 Campari Bitters, 1/3 sweet vermouth (in this case Cinzano Rosso) and 1/3 London dry gin. Herbal and rooty with red wine, zesty citrus, pine, quinine, bayleaf and mild spice. Bittersweet and complex with blood orange, pine, herbaceous quinine bitterness, red wine and peppery cinnamon spice. Long, dry lightly bitter finish with bitter zesty orange and peppery spice. 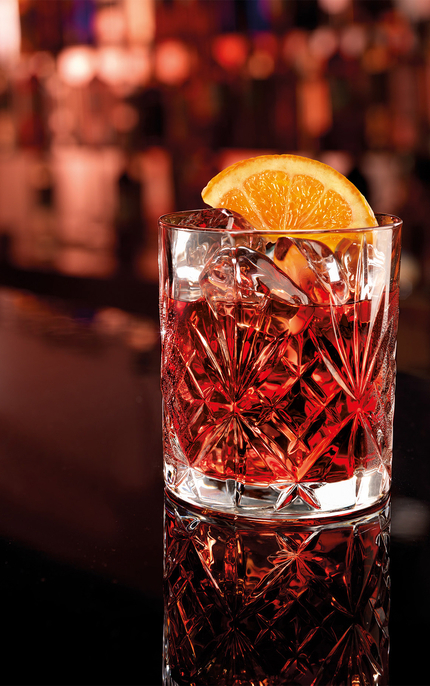 Your mixing days are over – simply pour over ice, add a slice of orange or swathe of orange zest, luxuriate and savour. 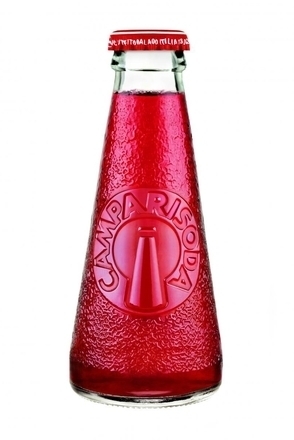 Like a “homemade” Negroni there is no need to go to the trouble of stirring with ice and straining into a glass over fresh ice – indeed this pre-mixed bottled cocktail is better without the added dilution. 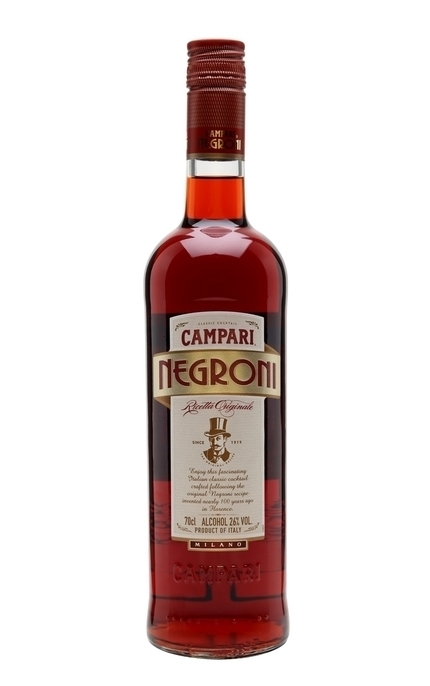 However, we’d suggest you store your bottle of Campari Negroni in the refrigerator. Consider pouring the bottle into a small oak cask for period of aging before decanting back into the bottle.